Podcast Episode 40: Want to move to Hollywood? This podcast is another interview special. We talk to writer Tim John about moving to Hollywood, how to fit in, how to find work there and why it all fell apart. A great episode for those thinking about hitting tinsel town. You can find Tim's book on Amazon - or simply click here. With over 20 years’ experience as a copywriter and creative director, plus 7 years as a Hollywood scriptwriter, I’ve worked with a huge variety of clients – from Burger King to Bill Murray, from Sunsilk to Schwarzenegger - winning awards and achieving significant results, even on tiny budgets. How do you co-direct a film? Note: Myself and Danny are the co-directors. Nelson Nutmeg has no directing duties! 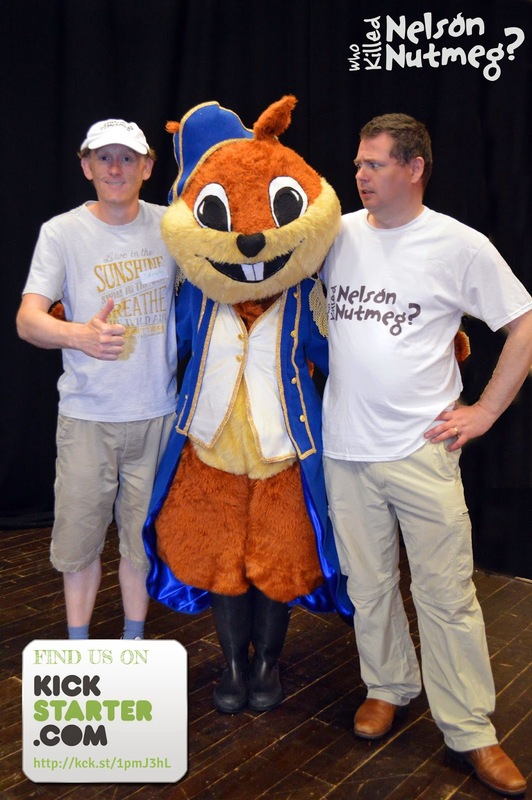 I am co-writing, co-directing and co-producing a children's feature film called Who Killed Nelson Nutmeg? alongside Danny Stack. We've worked together for years creating the UK Scriptwriter's Podcast. That's a lot of co-filmmaking duties we are sharing though. However, two out of those three get no comments from anyone at all. Lots of films are co-written. In fact many times there are 4 writers on the credits of major films, which normally means about 10 writers were used, but many were uncredited so the film didn't look so bad. And lots of films have more than one producer, in fact having only one producer would be very unusual. But directing? Wow, no one co-directs. One guy on reddit even said about our idea - "Co-directors=Creative poision 95% of the time." In a way he could be right. When we see more than one director on a project it is actually often because the first one has left / been fired and another one brought it. But does it need to be like this? Our inspiration for this film is the Coen Brothers. Not just in their film making style but also how they work as a double act. They are both credited as director for No Country for Old Men, for example. We may change our minds but here are our current three thoughts on co-directing. Agree up front that this is a joint effort - 100%, equal billing. Sometimes you may feel that you doing all the hard work. Sometimes the other person will (you won't notice that of course, as that's human nature). If you are solid in the fact you are doing this together, it will work out. Personally I feel this can only work if you've created the story and worked things out together. Why? Because you have already crafted a world together, you both know it inside out. Co-directing from someone else's spec script would be harder as you may disagree about the interpretation or look / style or even the meaning. This isn't an issue if you've created all those elements together. Join in the fun yourself. Our Kickstarter still has a few weeks to go.